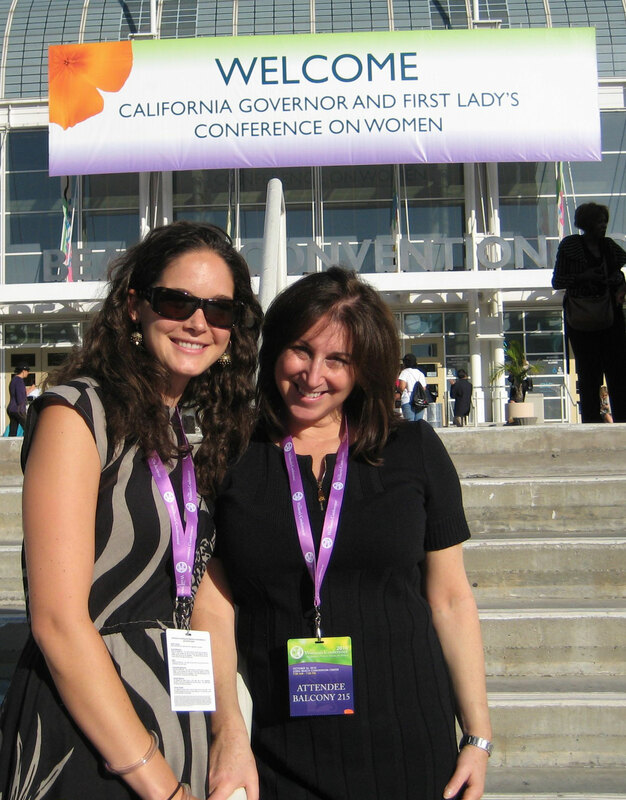 Executive Director Lisa Pedersen (right) and Site Director Sarah Barnard attend the First Lady’s Conference on Women in 2010. San Mateo – A roomful of teen girls dressed in pink, white and grey worked quietly on small quilts adorned with the bust of Roman warrior goddess Minerva recently in San Mateo while in summer school. It was difficult to imagine that any of them could have committed crimes. Yet, all of the girls are serving time in the juvenile justice system as residents of The Margaret J. Kemp Camp for Girls, a minimum-security facility and rehabilitation program. This particular week they were taking part in The Minerva Arts Project – a collaboration between The Art of Yoga Project, the California Governor and First Lady’s Conference on Women, the California Arts Council and the Alameda County Arts Commission. A statewide program, The Minerva Arts Project is designed to encourage at-risk youth to see the traits of Minerva reflected in themselves and to highlight the importance of the arts in the development and education of all young people. This year, San Mateo joined Alameda, Los Angeles, and Ventura Counties in the project and added its own distinctive twist – two yoga symbols incorporated into the quilts: the peaceful warrior pose in honor of Minerva’s symbolism, and the tree pose, which represents strength and flexibility. The Minerva Arts Project – Creating Youth Empowerment is an arts education program designed to provide a way for California youth in detention centers and state facilities to explore the leadership traits of the Roman goddess Minerva, who graces the California state seal. It is also a means for these young people to learn about the winners of The Minerva Award, California First Lady Maria Shriver’s recognition of women who reflect the potential in everyday Californians to make a positive impact on their communities. After the yoga practice and discussion, the class transitioned into the quilt project. “We played inspirational music to provide a calm, upbeat working environment. The overall experience and the mood were very positive,” observed art teacher Tina Mizukami. The Mission of The Women’s Conference Organization is to create Architects of Change – people from all walks of life who see a problem and seek to create the solution, be it in their home, their community, their state or our world. Led by California First Lady Maria Shriver, The Women’s Conference has created a global community of Architects of Change who gather every year at the nation’s premier forum for women in Long Beach, CA. www.womensconference.org.